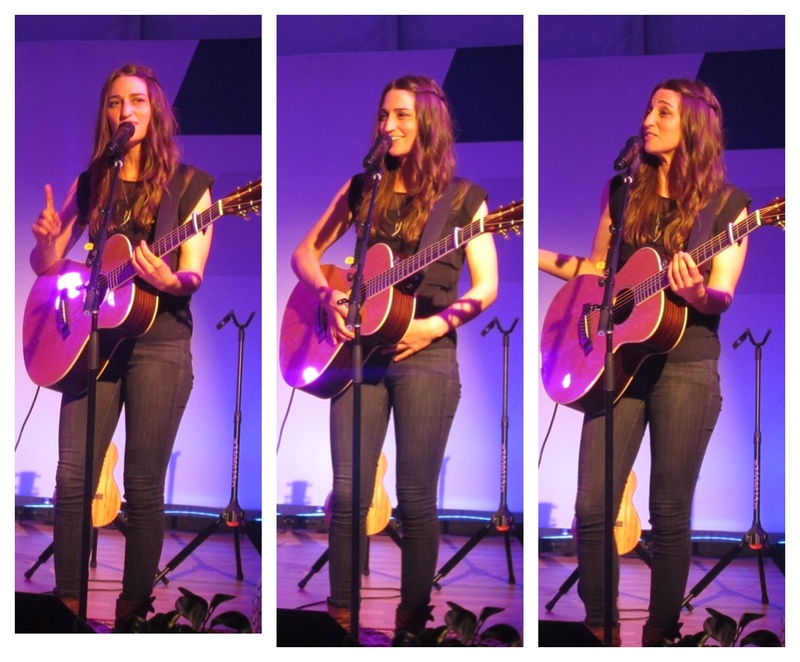 Sara Bareilles performed on May 18, 2013 at the Element Dallas/Fort Worth Airport Hotel as part of the first stop on the Starwood Preferred Guest (SPG®) "Hear The Music, See the World" concert series. These exclusive world tour of music performances gives unparalleled access to private performances & premium concert tickets with a range of today's most sought after artists at Starwood Hotels. The event started off with an outdoor cocktail hour and the concert was performed adjacent to the Element Hotel in an outdoor tent staged with flickering candles. A gifted songwriter and a versatile pianist with no formal training, Sara Bareilles burst onto the pop scene with a naturally skilled voice that ranged from powerful and soulful to sweet and gentle, earning her instant comparisons to Fiona Apple and Norah Jones. She achieved mainstream success in 2007 with the hit single "Love Song", which brought her into the number one spot on the Billboard Pop 100 chart. She has sold over 1 million records and over 4 million singles in the United States alone and has been nominated for a Grammy Award three times. Look for her new album in July! "Yellow Brick Road" by Elton John was her encore. Click here to see her performance on YouTube.